This Additional Agreement is an agreement between UAB Marilana, the operator of the online economic game Virtonomics and / or Virtonomica (hereinafter referred to as the Operator) and you, the user of the online game Virtonomics or Virtonomica (hereinafter referred to as the User) on your accession to the Compensation Program voluntarily implemented by the Operator, complementing the accepted You have previously User Agreement, which is its integral part and includes all the terms, clauses and conditions of the User Agreement. This Additional Agreement is an agreement between UAB Marilana, the operator of the online economic game Virtonomics and / or Virtonomica (hereinafter referred to as the Operator) and you, the User of the online game Virtonomics or Virtonomica (hereinafter referred to as the User) on your accession to the Compensation Program voluntarily implemented by the Operator, complementing the accepted You have previously User Agreement, which is its integral part and includes all the terms and conditions of the User Agreement. 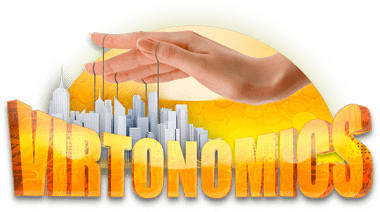 By agreeing to these conditions, you express your intention and agreement to join the Compensation Program for participants of the “pre-sale” and “token-sale” events to create and distribute app-tokens of the Virtonomics web application (hereafter “VICoin”) held by the Operator in 2017 and 2018 (hereinafter Event). Joining the User to the Compensation Program implies acceptance by the User of all the conditions and rules of the Compensation Program described in this agreement, including the references contained therein, as well as the terms, rules, regulations and agreements located on other web pages of the Virtonomics online game and other Operator sites. You agree to access the features and tools of the Compensation Program. You agree and authorize the Operator to convert the entire amount of game currency Virts in your game account into new game currency Denominated Virts (hereinafter referred to as “DV”) in accordance with the conditions proposed by the Operator. The exchange of virts in DV occurs by debiting all virts from the user’s game account and charging DV in an amount equal to the amount of USD spent by the user to purchase game currency virts during the “Event”, minus the number of game points (hereinafter “GP”) and minus the cost of gaming services received by the user in the process of exchanging Virts or VICoins for GP or gaming services during 2017-2019. User access to the Compensation Program tools is carried out through a special page in the User’s game account and after the User joins the Compensation Program by accepting this agreement. Refusal to accept this additional agreement by the User means his voluntary refusal to participate in the Compensation Program, agreeing to the complete removal of Virts from his game account without charging DV and rejecting any claims against the Operator and / or his partners.